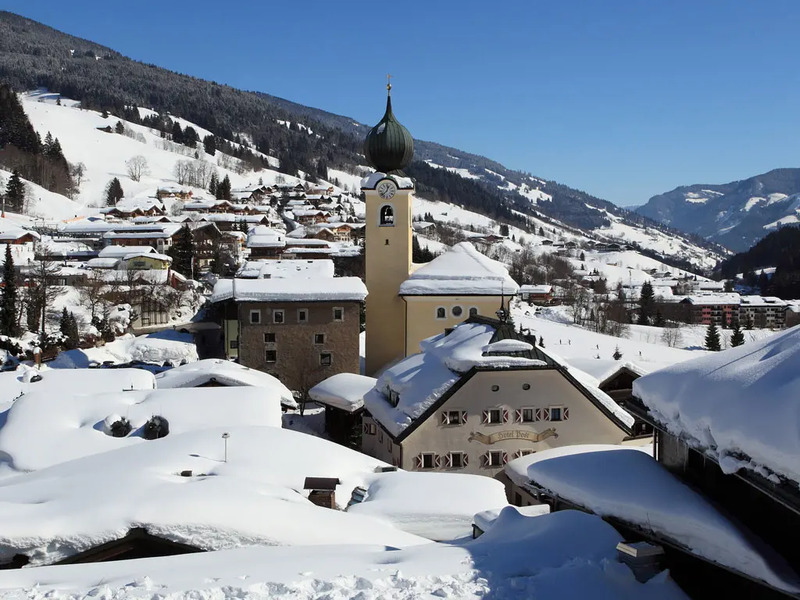 Saalbach and [IL:ATSALZ067] are often mentioned in the same breath, but the popular villages have each retained their own unique character. 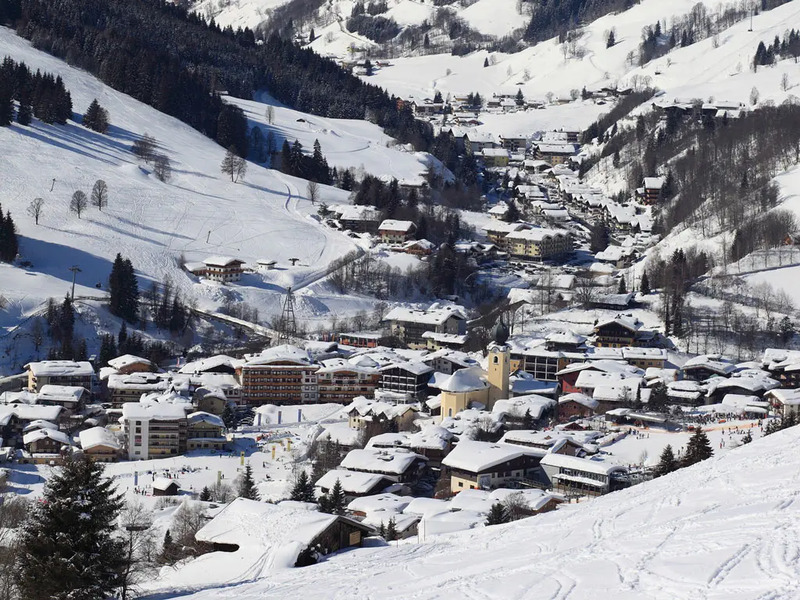 Like its neighbour, Saalbach has a pedestrianised village centre with a vibrant atmosphere. 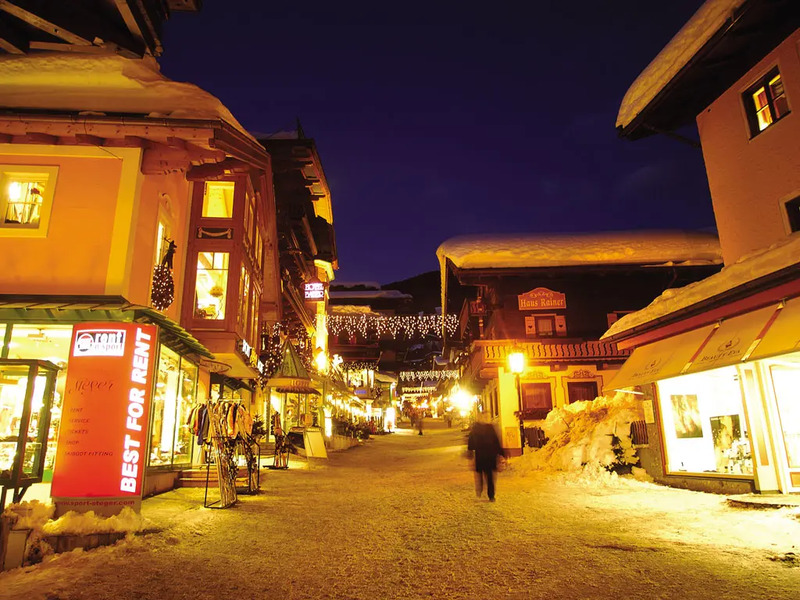 The streets are lined with shops, restaurants, hotels and many, many après-ski bars! 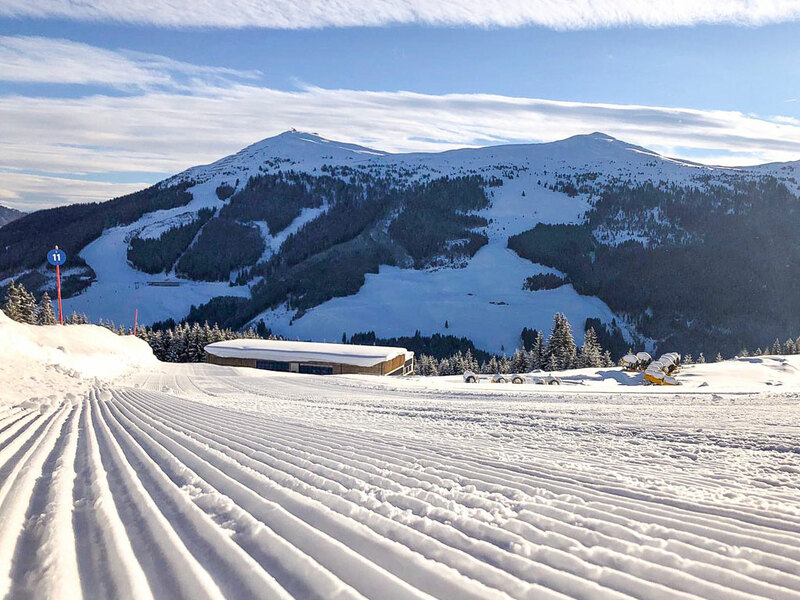 In the morning, the most diehard skiers are already out the door by the crack of dawn to take advantage of the 250km of slopes in the Skicircus Saalbach Hinterglemm Leogang Fieberbrunn! 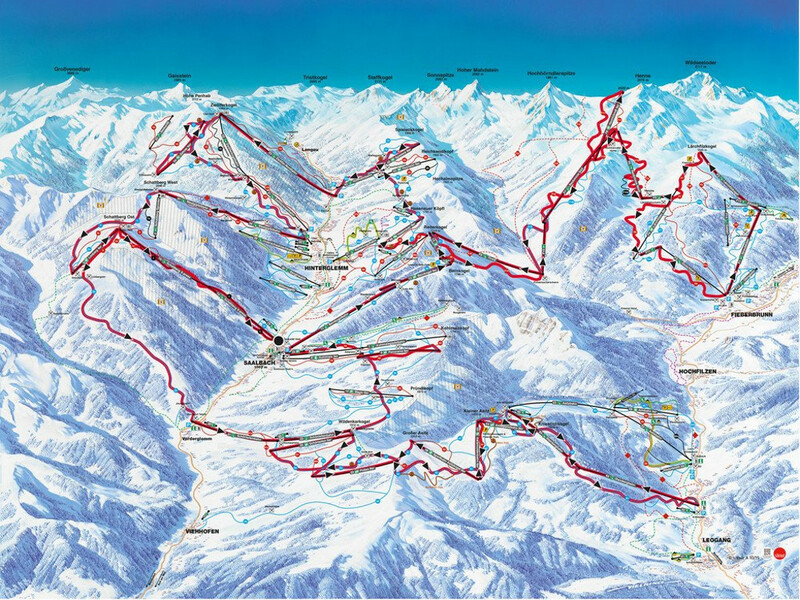 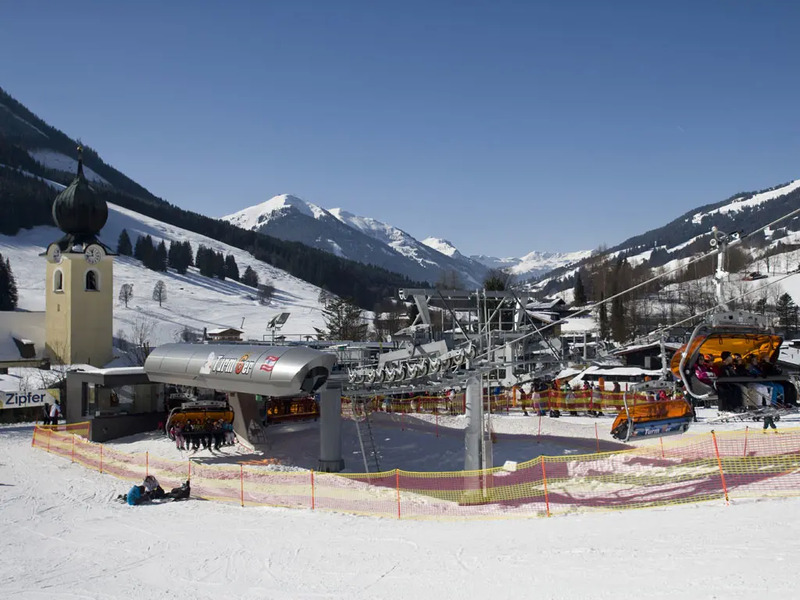 Saalbach is linked to the Skicircus by means of various lifts, as well as a ski bus for those staying in accommodation further from the centre. 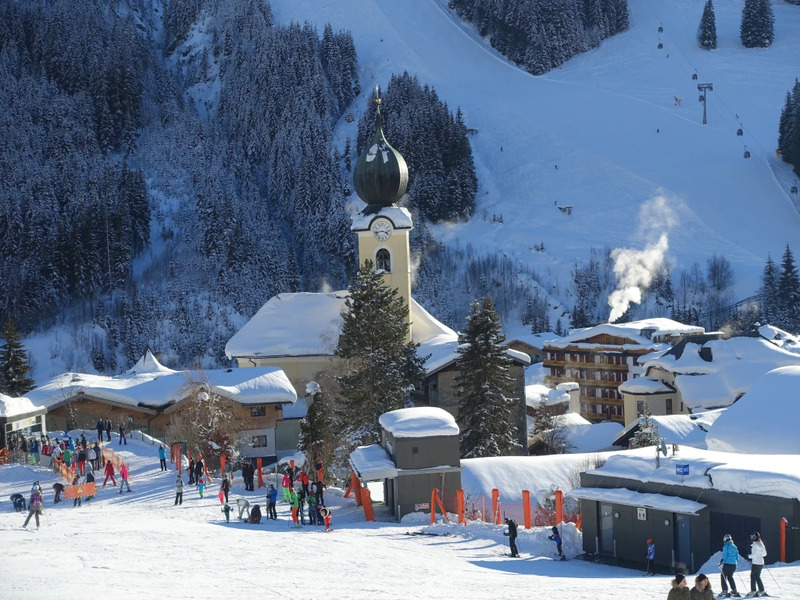 The village centre is quite posh, full of name-brand shops and glitzy four- and five-star hotels. 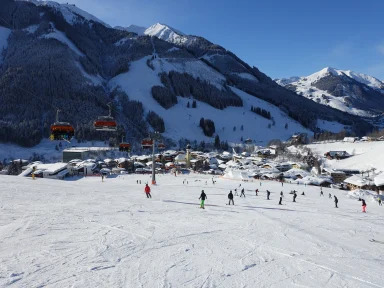 To complement your ski holiday Saalbach offers a range of other activities, such as tobogganing at the Spielberghaus, snowmobile driving and ice carting. 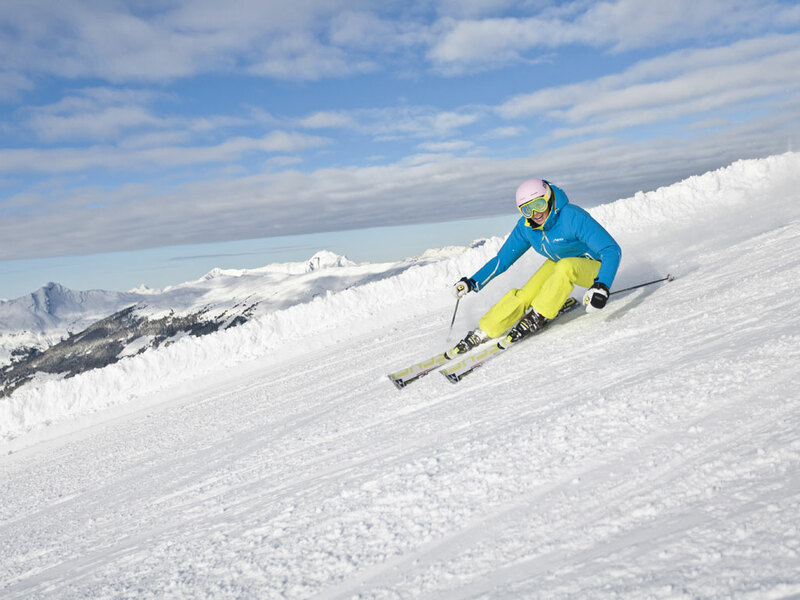 If the weather isn't cooperating you can also visit the ski museum to learn more about the history of skiing in the region. 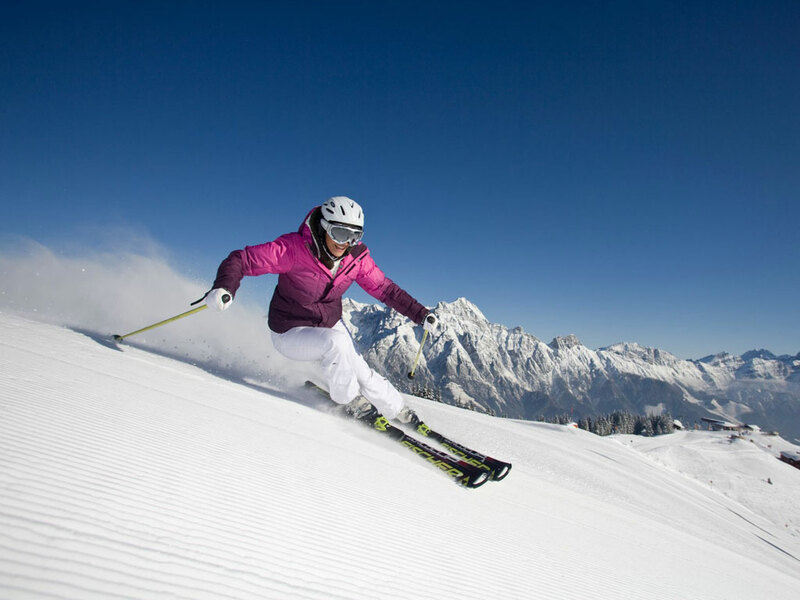 Snowboarders and freestyle skiers at the Eben im Pongau have a wealth of options. 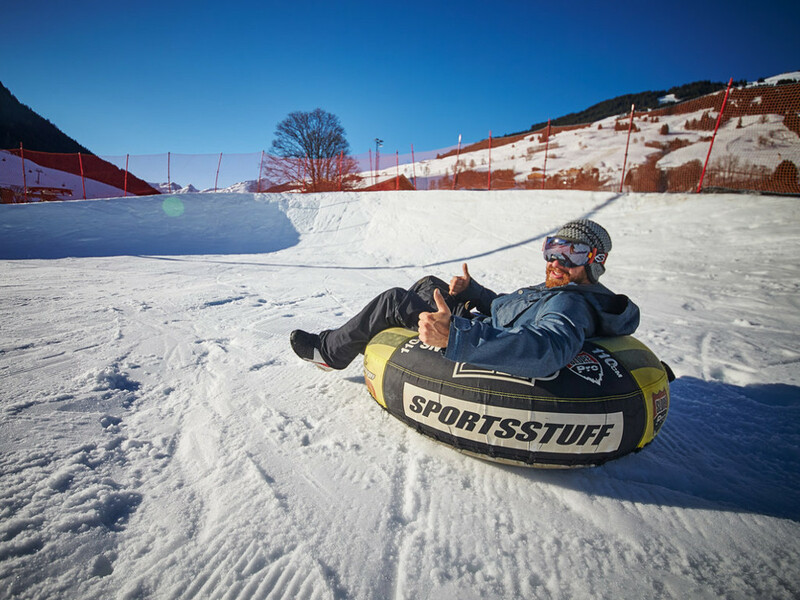 Advanced freestylers are best off heading to the Nightpark in Hinterglemm or the Nitro Snowpark in Leogang, both of which are world-class terrain parks with challenging jumps for advanced freestylers. 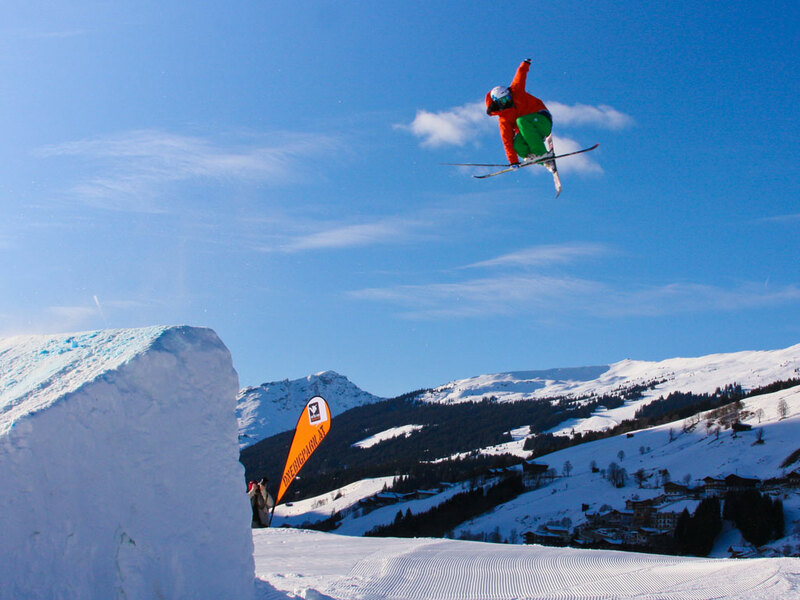 If you're still learning, the Learn-to-ride park in the Bernkogel offers gentler jumps. 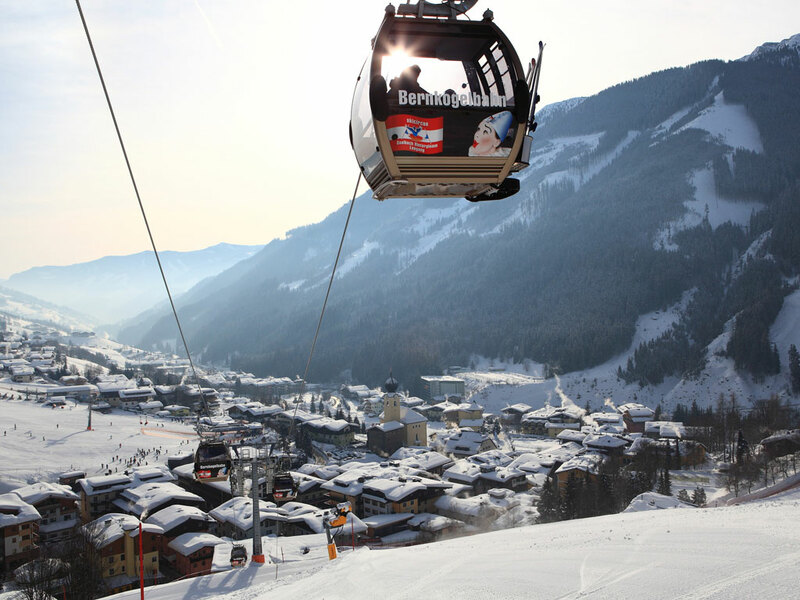 The Bernkogel is also home to a boardercross and another fun park. 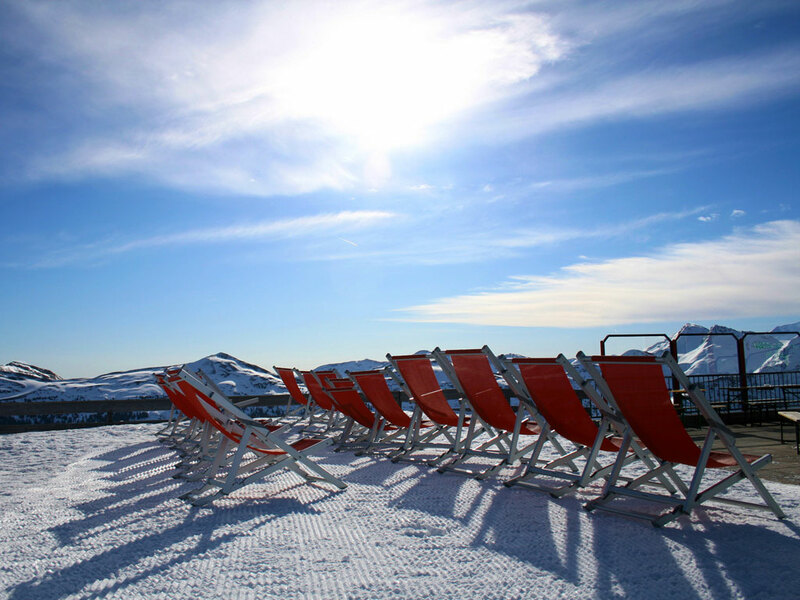 Film yourself for free on the Skimovie slopes and show off to all your friends and family later! 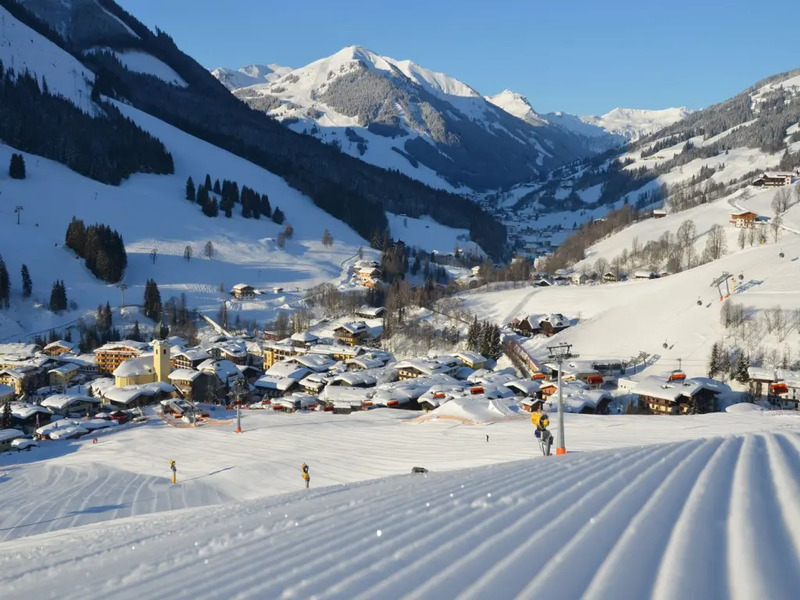 While Leogang has some options for cross-country skiing, the Skicircus as a whole is not necessarily known as a cross-country skiing destination. 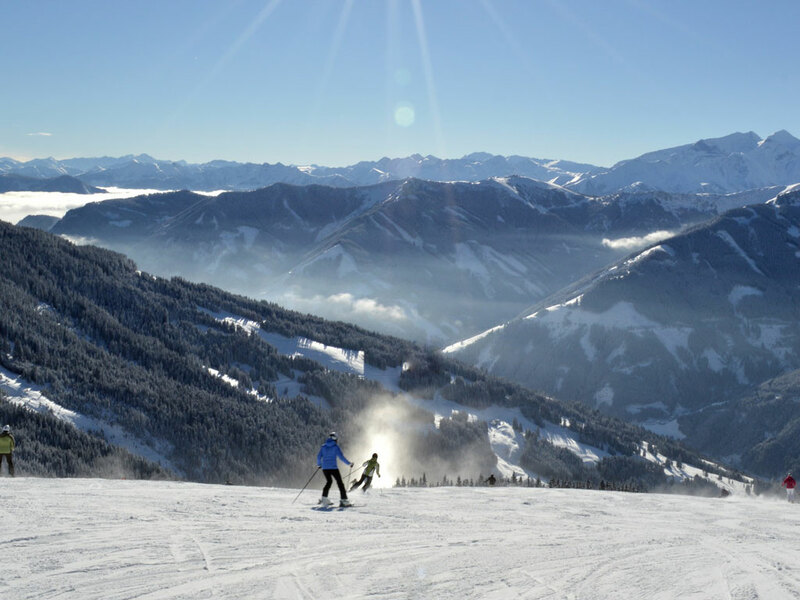 Cross-country skiers can head to nearby Zell am See, which offers an extensive network of cross-country skiing trails. 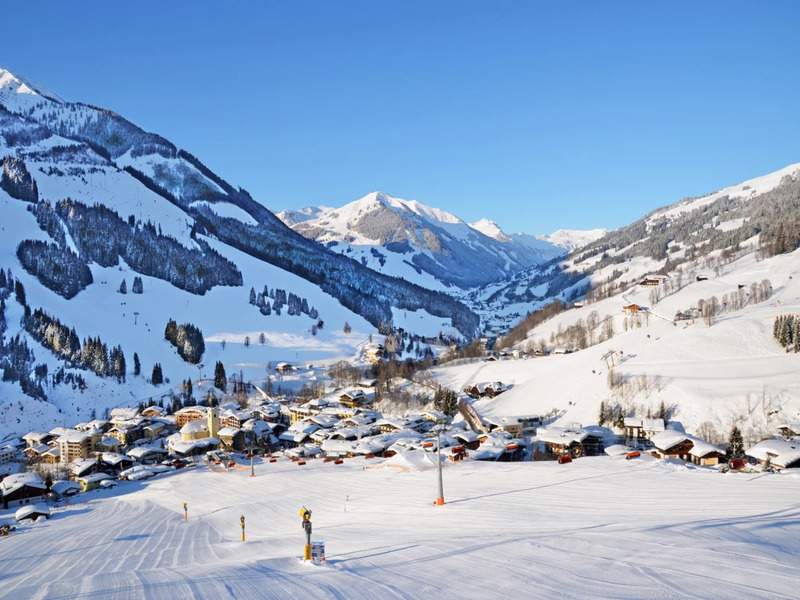 Winter hiking enthusiasts have a lovely environment to explore around Saalbach. 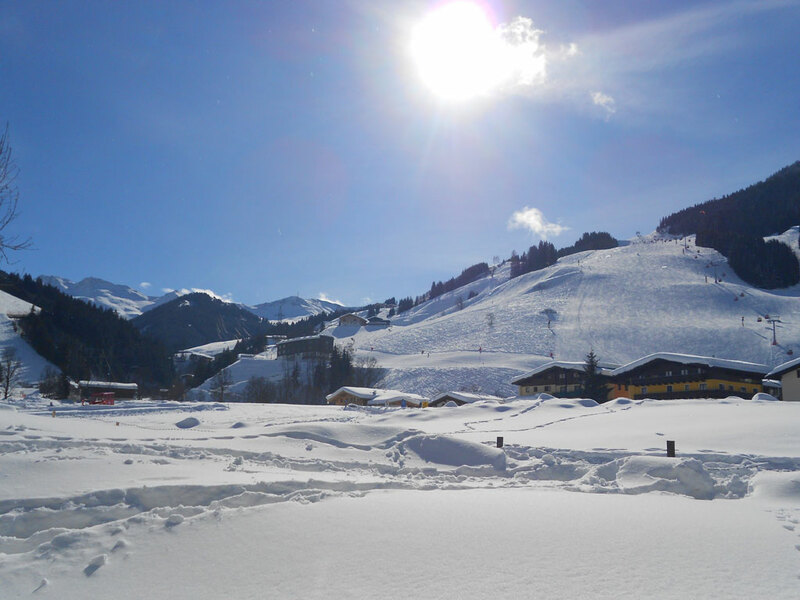 Take the trail from the Zwölfer-cabine to the Ellmaualm mountain restaurant and from there work your way back to [IL:ATSALZ067]. 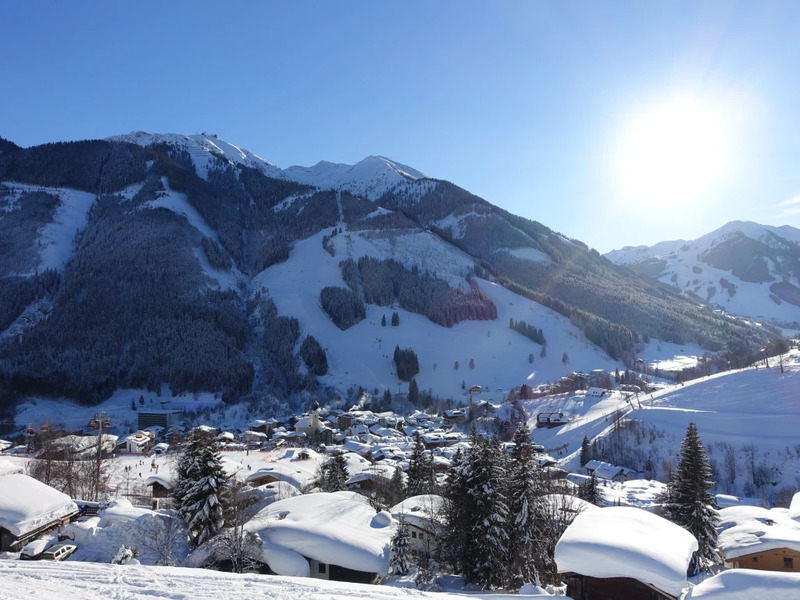 From Saalbach it's a beautiful hike through a lovely valley on the way towards the Spielberghaus. 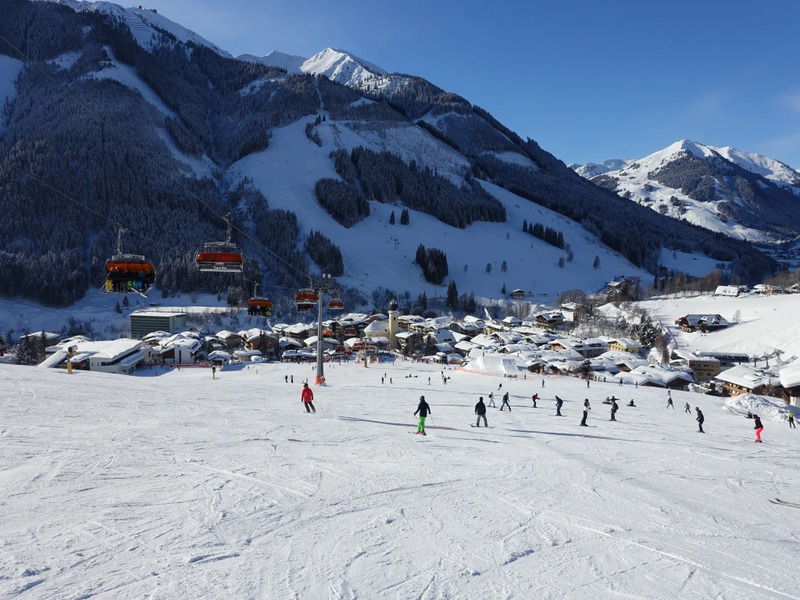 Saalbach doesn't market itself as a family-friendly destination, but in fact the ski resort offers a multitude of activities for families with young children. 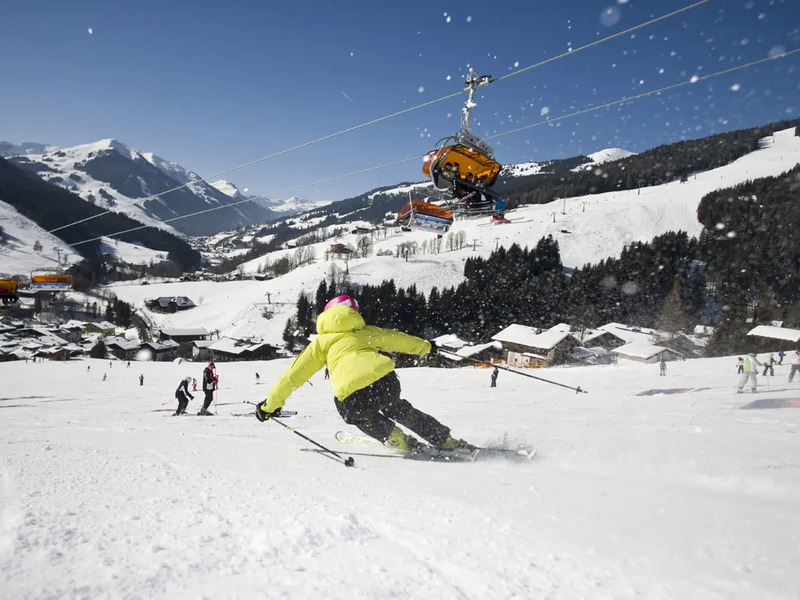 The childcare and ski school are both more than decent, and it should be no trouble to find English-speaking instructors. 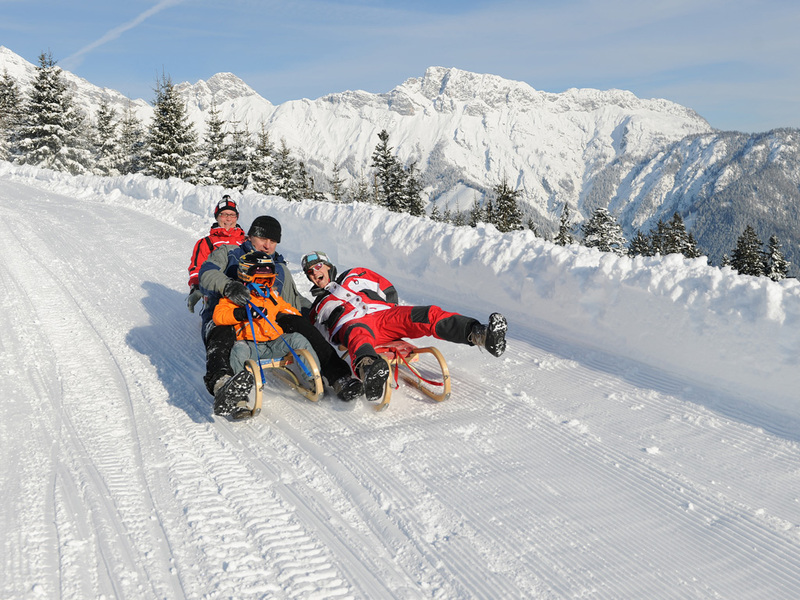 There are also several hotels that cater specifically to families with children. 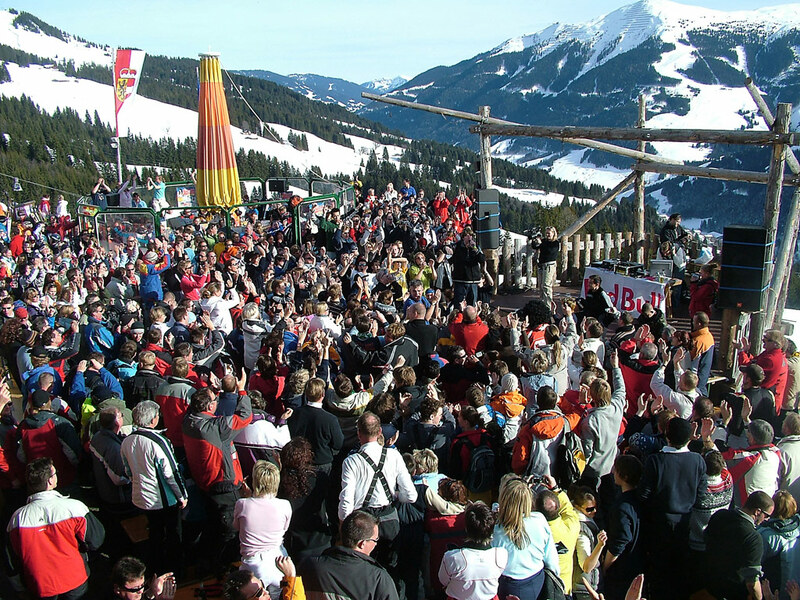 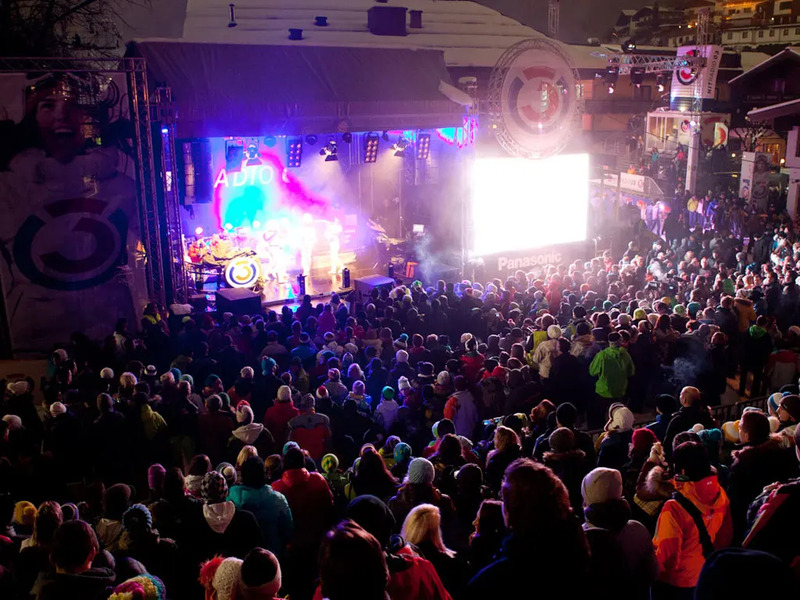 Après-ski in Saalbach: let out your inner party animal! 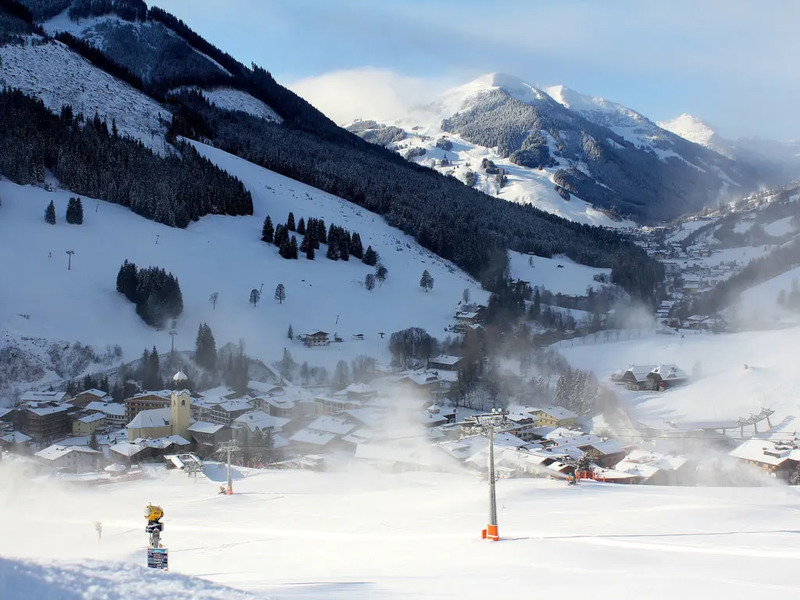 Saalbach's reputation as an après-ski hotspot is well-earned. 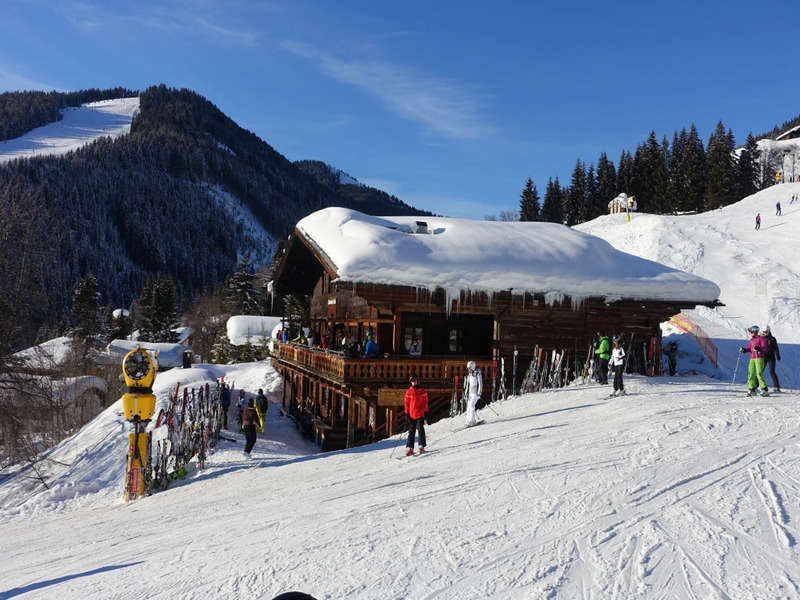 From traditional ski huts to trendy lounge bars, après-ski at Saalbach comes in all shapes and sizes. 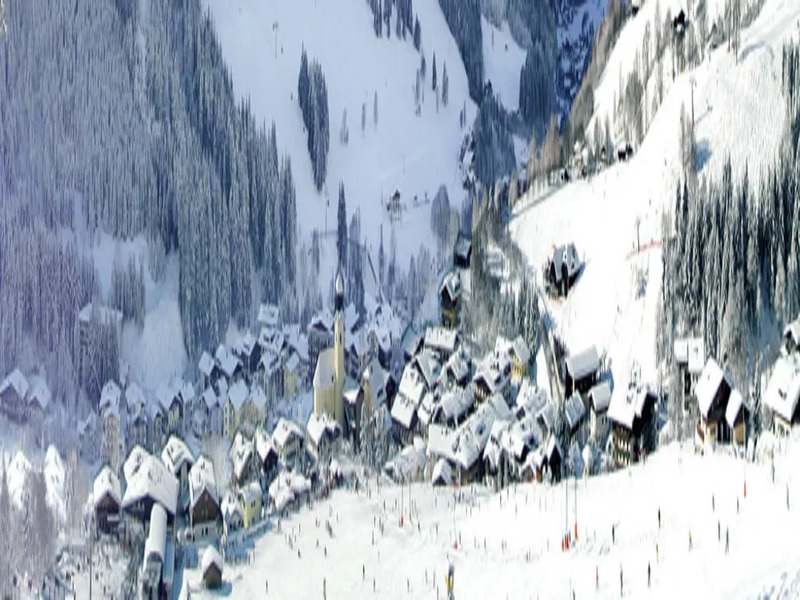 Après-ski enthusiasts of every description will find something to satisfy them here, whether in the village or right on the slopes. 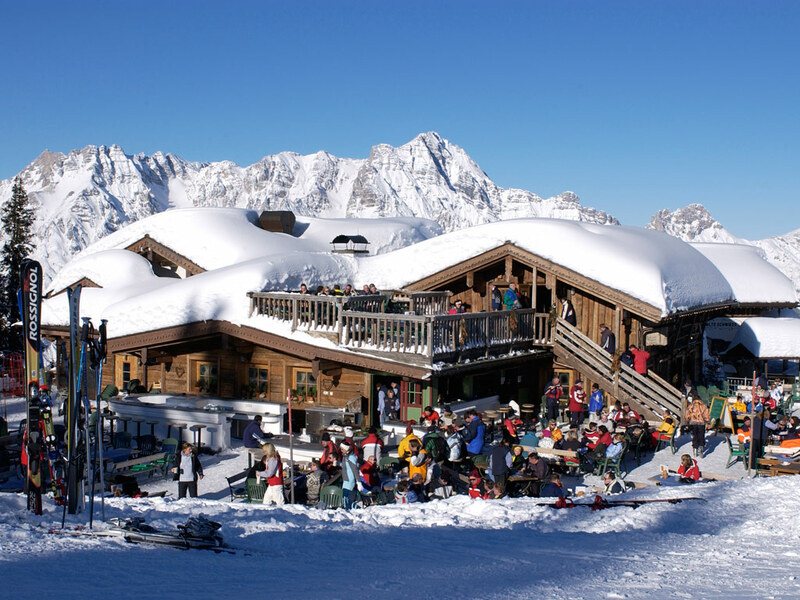 Institutions such as the Bauer's Schi-Alm, the Hinterhag Alm and the Maisalm get the party going before the ski day ends, while bars like the Underbar in the village pick up where the mountain restaurants left off. 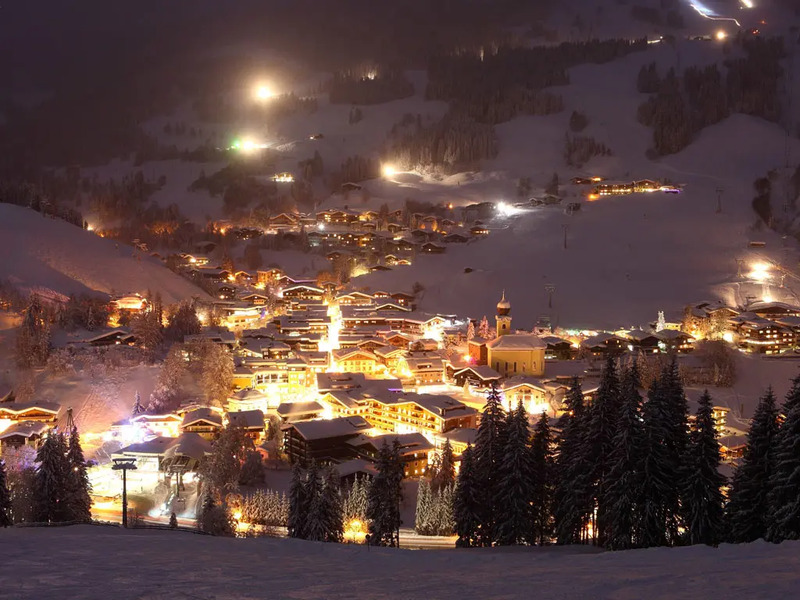 If you want to party into the very wee hours, head to neighbouring Hinterglemm.